Toyotake Rosetayū is a chanter (tayū) in the genre of Bunraku puppet theatre (Ningyō Jōruri) with a beautiful voice of ample volume and an attractive narrative style. His florid and fresh artistry captivates all who hear him perform. As a tayū who can be expected to play a central role in the Bunraku theatre over the coming years, Toyotake Rosetayū is an artist with the capacity to tackle the most demanding roles in historical dramas while expanding his range of artistic activity to the performance of new works. Born in 1965, he began studying the art of Gidayū-bushi with Tsuruzawa Jūzō Ⅳ in 1979. He was accepted as a student of Bunraku performance at the National Theatre in Tokyo in 1982. He began studying under Takemoto Nanbudayū Ⅴ in 1984, the year in which he made his first stage appearance at the National Bunraku Theatre. He subsequently studied with Toyotake Rodayū Ⅴ in 1985 and Toyotake Shimatayū Ⅷ in 2000. 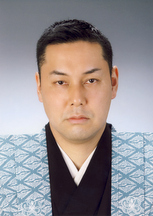 He has been the recipient of many awards including the Prize of the Bunraku Association, the Encouragement Prize of the Chinami Association, the Sakuyakonohana Prize, the Osaka Stage Arts Encouragement Prize, the Annual Grand Prix of the Jūsanya Association, and the Prize for Excellence at the National Theatre Bunraku Awards. The Bunraku theatre is Japan’s most celebrated genre of traditional puppet theatre. 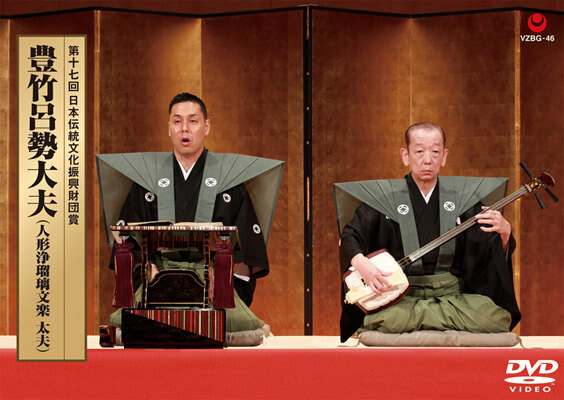 The music to which the drama unfurls is known as Gidayū-bushi and is provided by a chanter (tayū) and a shamisen-player, who form two elements in the trio that includes also the puppeteers. The puppets employed in the Bunraku theatre are each operated by three puppeteers, making this an art without parallel anywhere else in the world. The puppets are manipulated with consummate artistry to the musical accompaniment provided by the narrative chant of the tayū and the sound of the large, deep-toned 3-string plucked lute known as the Gidayū shamisen. The tayū is responsible not only for delivering the lines of the characters that appear on the stage but also for depicting the emotional atmosphere of each scene and describing the background to the stage action. 禁無断転載 Copyright © 2013-2019 公益財団法人 日本伝統文化振興財団 Japan Traditional Cultures Foundation. All Rights Reserved.